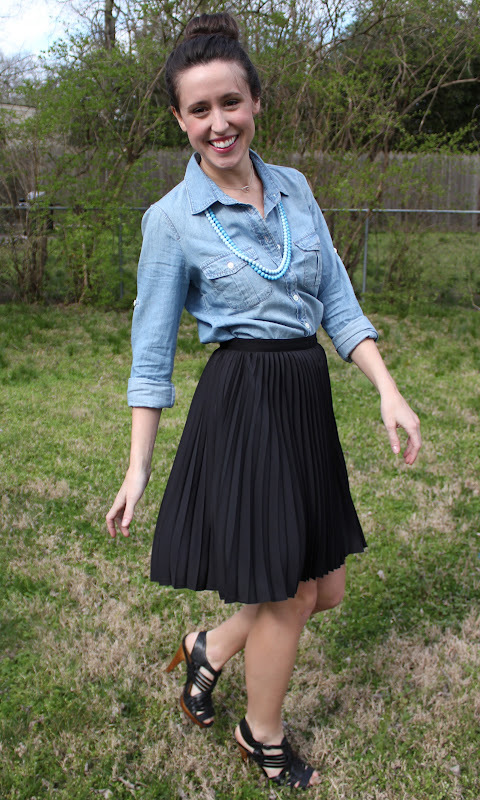 If I calculated the cost per wear of this skirt it would be down to pennies by now... 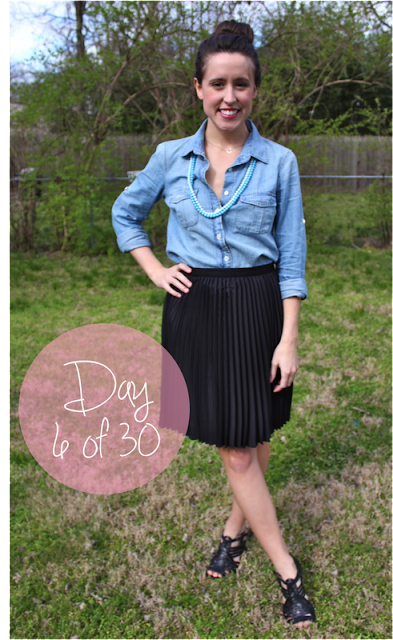 The entire Jason Wu for Target collection was amazing, but this skirt is a downright wardrobe staple! Have I told you lately that twirling is my favorite activity? still a little girl at heart, dreaming of slippers and tutus! The first part of the week was so slow, and now it is Thursday already! What happened!? I am going to go ahead and roll with it. Yes this Jason Wu skirt is pretty much perfect.... there is always online shopping to get your hands on it! I've been looking for a pleated skirt, but the length is never right on me...and the Jason Wu for Target racks are always empty- Ha! How do you like the Barre Method classes? I heard they were tough, but fun! Mary, you are too sweet! you should do it! There are FREE/cheap community adult ballet classes here... you should check to see if there are any in your area! Thank you so much Cara! I get my skirt inspirations from you! 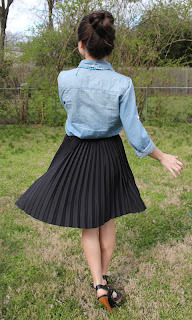 love the casual denim top with the ladylike pleated skirt, so pretty! VERY cute shirt, love it with the chambray! I totally want to take a ballet class, but I would feel like such a dweeb starting at 24 years old! 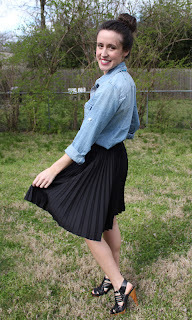 You look like you're having fun twirling, pointing your toes, and rocking a ballerina bun though :) LOVE this skirt! I am obsessed with that skirt. 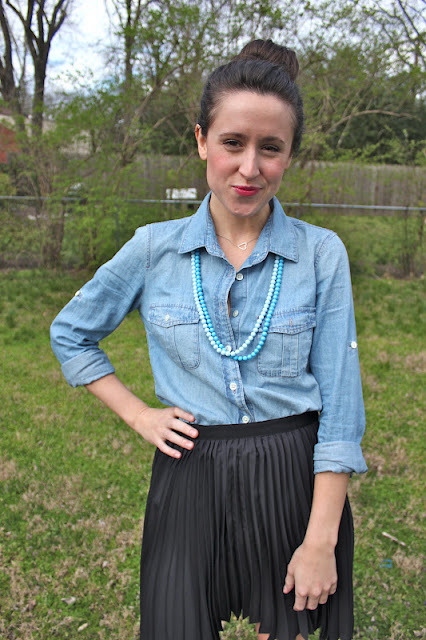 And a chambray shirt is always a must! crazy how it literally goes with anything.